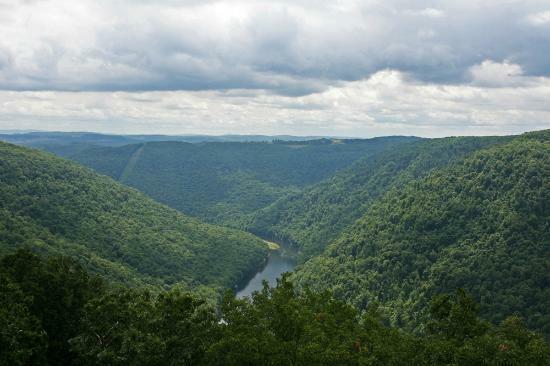 Are you looking for the best camping spots in West Virginia? While there are a ton of amazing campgrounds around the state, we have picked 12 of the best that we think you should check out. 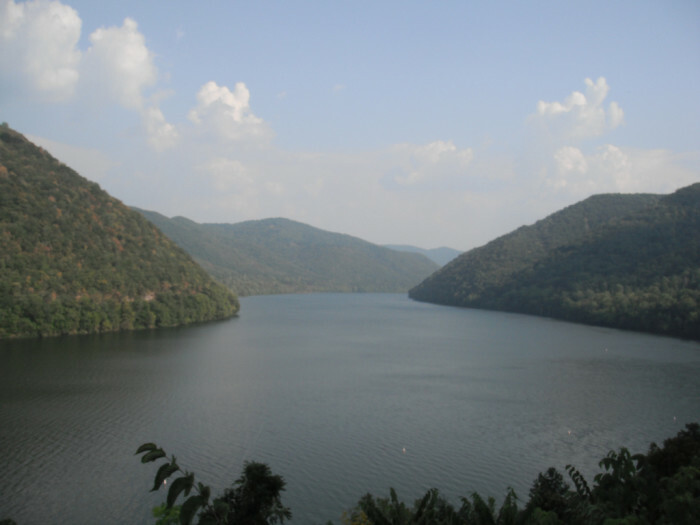 This campground is just a short drive from Whitmer, WV alongside a beautiful lake. It’s a popular spot for hikers as the highest point in the state, Spruce Knob Mountain in not far away. The areas has an impressive 60 miles of hiking trails all with gorgeous scenery. 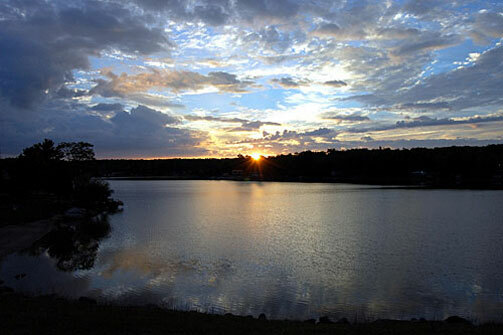 This large park offers over 3,000 acres of prime real estate for all your outdoor recreation needs. From fishing, boating, and wildlife watching, this park has it all. 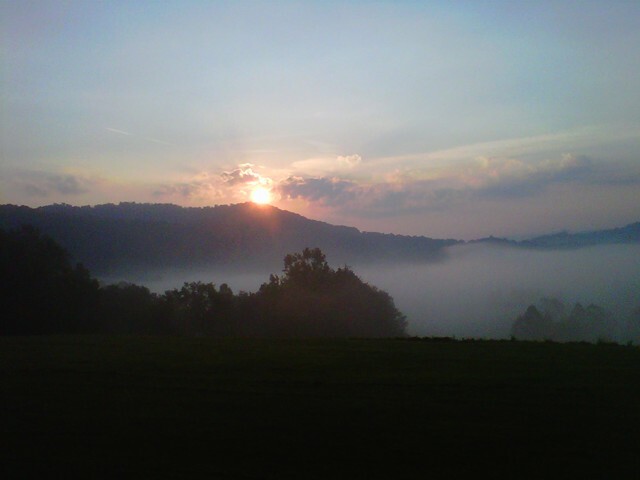 Beech Fork is located in Cabell County and has nearly 300 sites for tents and RVs. 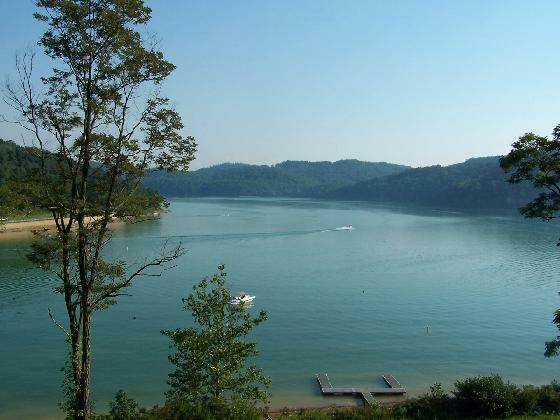 Mountain Lake Campground is located on the banks of beautiful Summersville Lake which is excellent for swimming, fishing, and even scuba diving. As an added bonus, it’s even stocked with trout during the fall and spring months. 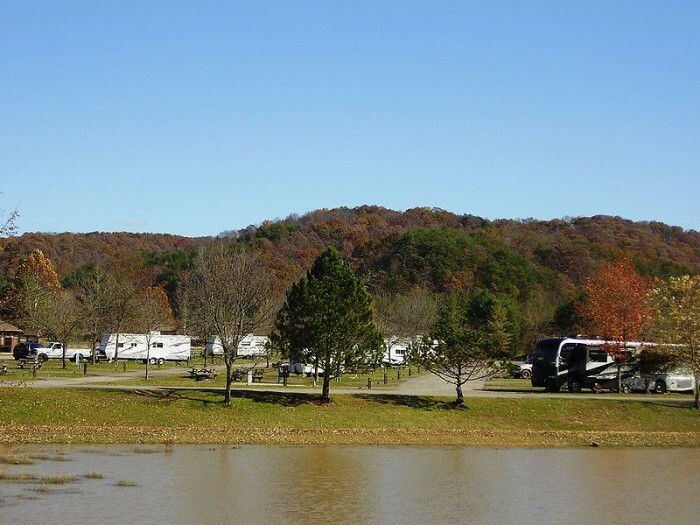 The campground offers tent sites, RV hookups, and rental cabins. This heavily wooded riverside campground attracts families who enjoy the outdoors for hiking and camping. It offers over 60 tent and trailer sites (some with electric hook-ups), two bathhouses, and a playground. Coopers Rock State Forest encompasses over 12,713 acres of prime forest that serves as a recreation and preservation area. The campground offers 25 sites, all with electric hookups. It also has a shower house and is open from April to November. 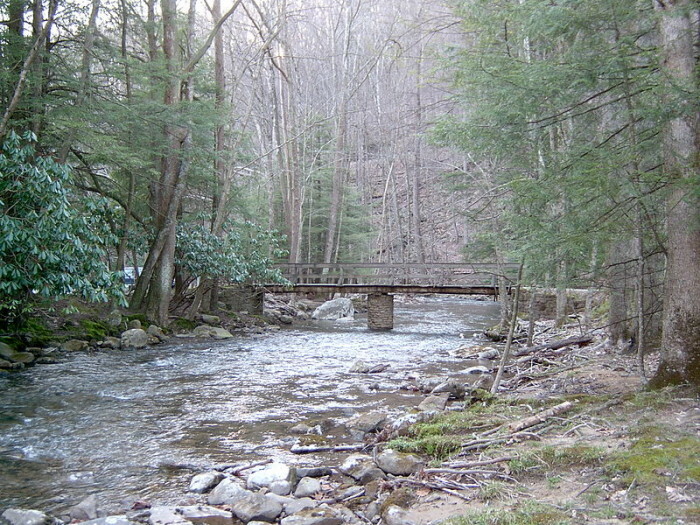 Seneca State Forest is one of West Virginia’s oldest forests. 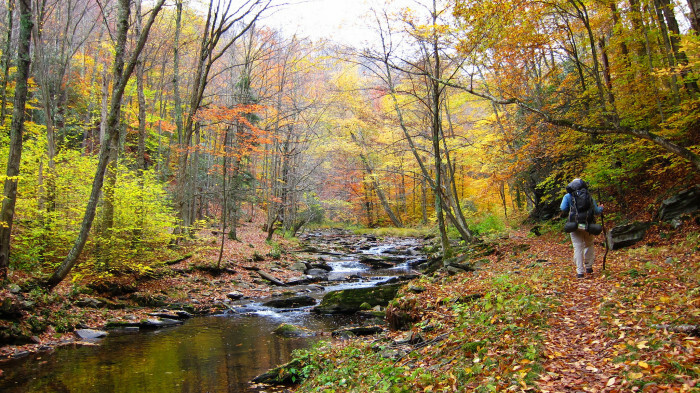 The over 11,000 acres of lush woodland is perfect for hiking, hunting, or simply enjoying nature. Here you will find a small campground with rental cabins guest cabins and 10 secluded campsites. Each campsite has a fireplace, level tent/trailer pad, and a picnic table. The campground is open from April to December. The major draw of this park it the lake. But visitors also come for the surrounding rugged mountain terrain and excellent hiking trails. The park has numerous campgrounds offering everything from reservable campsites with RV utility hook-ups to primitive walk-in sites. 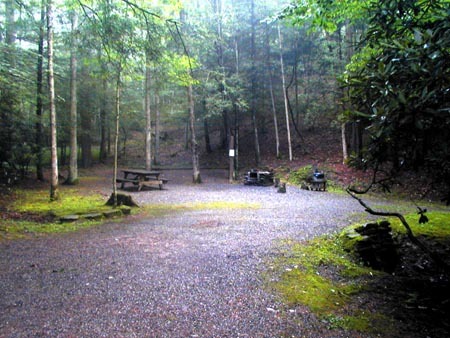 This campground is nestled in the heart of the Appalachian Mountains. It offers plenty of sites for both tent and RV camping. With a water slide, lazy river, kiddie pool, basketball, tennis, and volley ball courts, along with tons of nearby hiking trails, this campground is sure to please the whole family. 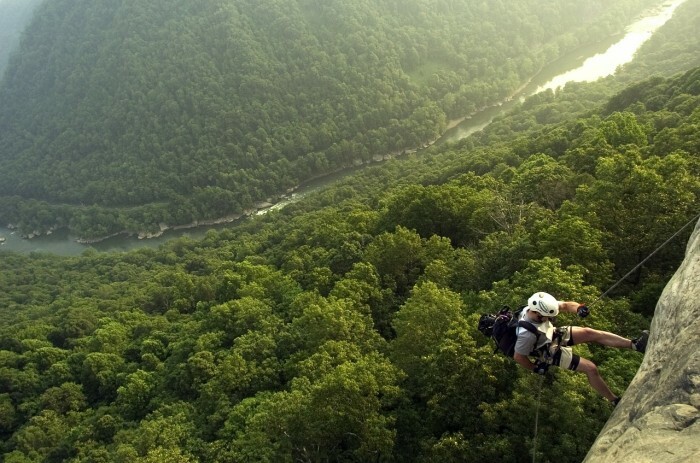 Have you ever wanted to visit the New River Gorge National River area? If so, there are primitive camping opportunities to be had in this forest. There’s no hookups or drinking water, and the restroom facilities are limited at best. But what this area lacks in conveniences, it makes up for with unparalleled views. 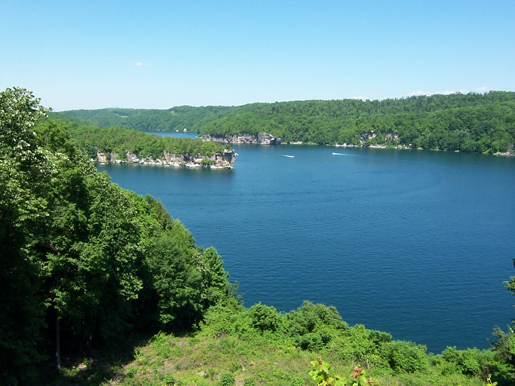 Tygat Lake State Park is located in West Virginia’s rolling hills alongside a ten mile long lake. The campground in this gorgeous park is open from April to October depending on weather conditions. The good news is that have both tent sites and RV sites with electric hook-ups. There also bathhouse on the property with hot showers. This campground is perfect for campers and glampers alike. Pitch your tent, park your RV, or get cozy in one of their fully outfitted rental cabins. The park offers numerous amenities including Wi-Fi, a pool and hot tub and picnic pavilion. 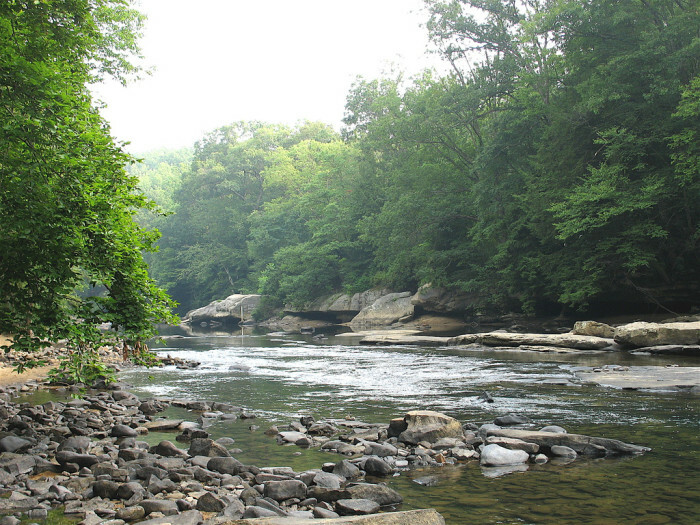 Holly River State Park is nestled in a narrow valley surrounded by heavily forested mountains. This campground offers 88 sites with cooking grills, picnic tables, and electric hookups. Amenites include 4 bathhouses with hot showers as well as coin-operated washers and dryers. How many of these camping spots would you like to go to? Have you been to any of them? Are there any campgrounds that should have been mentioned? Let us know your thoughts in the comments below.